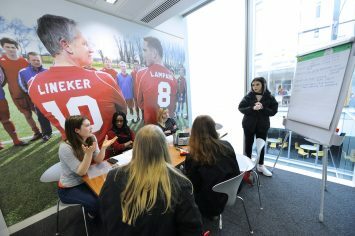 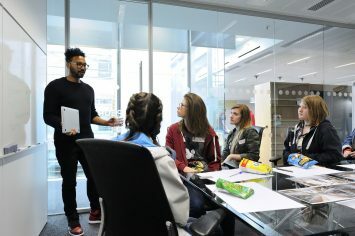 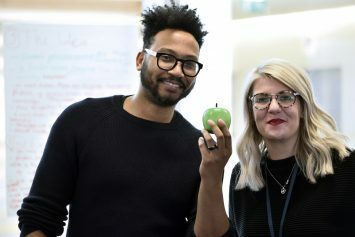 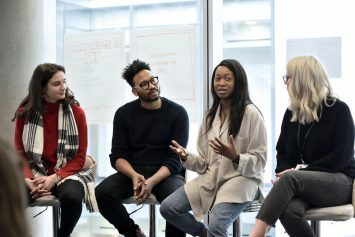 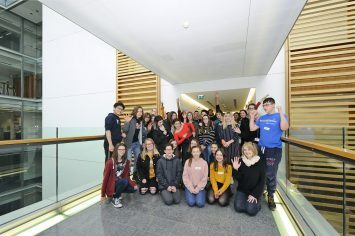 The Cambridge School of Art Club travelled to the impressive headquarters of AMV BBDO on Bankside in London for their Masterclass given by AMV BBDO and JCDecaux, about how to communicate using advertising and street signage. 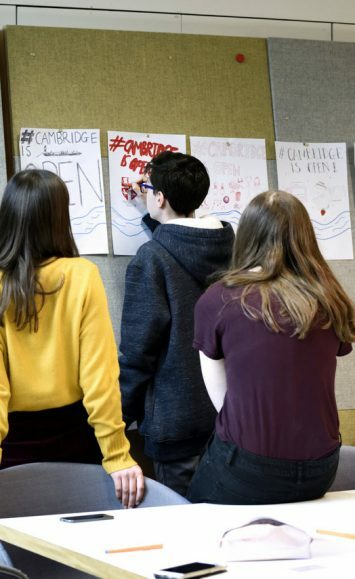 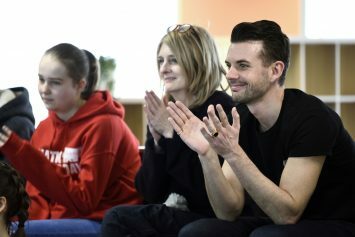 Given the brief to devise an advertising campaign that would promote the concept of “#CambridgeisOpen”, they split into groups and began thinking about perceptions of the city, the key points that they wanted to make and how to convey them. 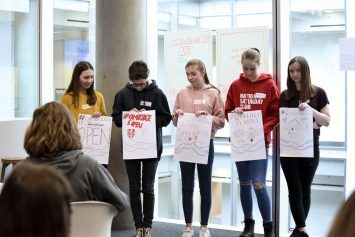 Using sketches and text, they developed their ideas into a format that used digital, interactive street signs as eye-catching displays. 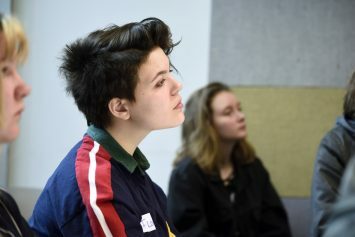 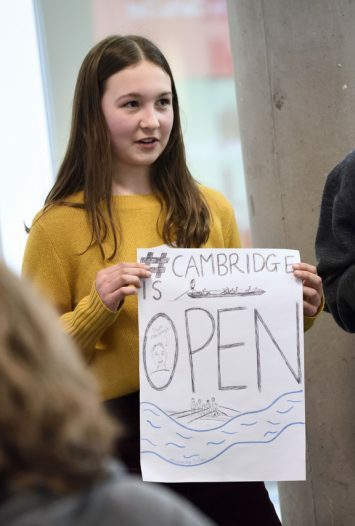 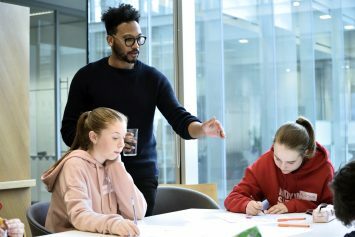 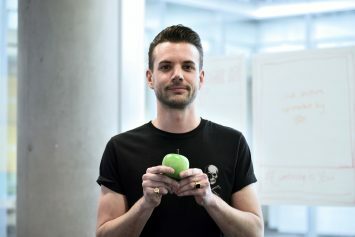 The Club Members were articulate as well as focused, and came up with a huge number of exciting ideas that really impressed the AMV BBDO team, including using the River Cam as a motif across different signs and creating geo filters for Snapchat.